A sports fan’s delight with eight different game choices. 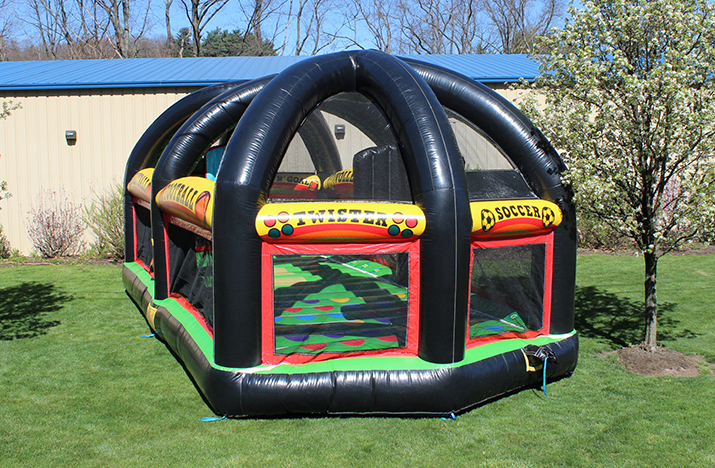 Enjoy traditional team sports such as basketball, football, and soccer, as well as classic games like dodge ball, first n’ goal, pedestal joust, twister, and volleyball. Limit six participants at one time.